in the wake of the most significant race riot in Italian history. The film begins in the middle of the riot when Ayiva convinces his friend Chico to participate in the revolt. 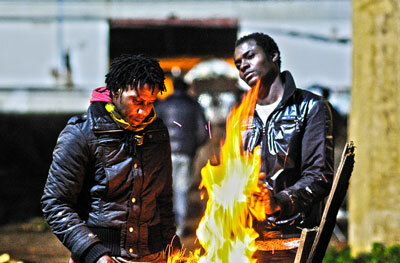 The immigrants tear through the streets of Rosarno, burning cars and protesting the shooting of an immigrant worker just hours before the riot. After the police start brutally attacking the demonstrators, the two friends are forced to flee. Ayiva and Chico decide to gather their things and leave town, but their escape is anything but easy.